Leading Manufacturer of wet scrubber from Hosur. Wet scrubbers have the ability to handle high temperatures and moisture. 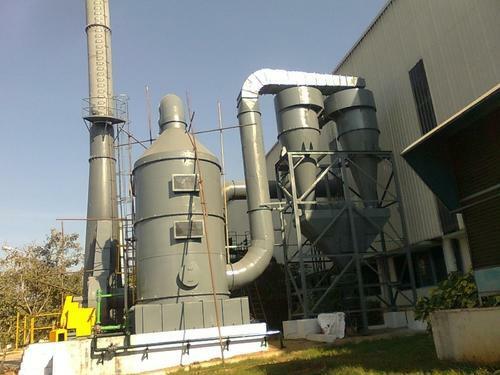 In wet scrubbers, flue gases are cooled, resulting in smaller overall size of equipment. Wet scrubbers can remove both gases and particulate matter. Wet scrubbers can neutralize corrosive gases.